When your cruise stops at Southampton port enhance your sightseeing experience of England on a tour that concludes in Southampton port. With a knowledgeable guide, delve into the rich history of the country as you visit popular attractions. Explore the beautiful city of London and gaze at the towering spire of the grand Cathedrals; embark on an intriguing 8-hour tour of London; and enjoy convenient drop-off at Dover port or London hotel. 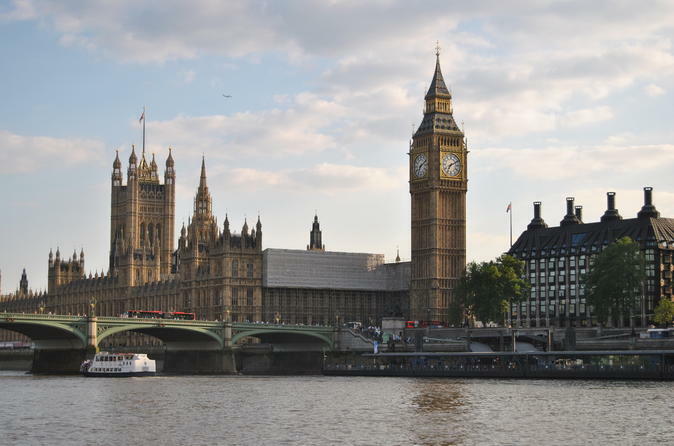 Enjoy an intimate introduction to England's capital on a private 8-hour tour of London with a private guide and a driver and see some of the city's most iconic sights. Your private driver will meet you at the arrivals of Southampton port at 9:00 am or you can choose different time if you wish to start later. You will meet your private tour guide at first stop next to Westminster Abbey - final resting place of kings, queens, poets and statesmen. You will see Parliament next to Big Ben, Trafalgar Square and National Gallery. Famous Tower of London and Tower Bridge, magnificent St Paul Cathedral and many more places. After the tour your private driver drop you off at Southampton port or any central London hotel.